The New Year is off to a great start for a group of home developers. They just receive the go ahead from the Yorba Linda planning commission to proceed with a 340 single-family home development. Next stop will be the county Board of Supervisors. If all goes according to the plan, these homes can begin to be built later this year. That will mean a lot of work and of course a lot of new homes for local residents. Anytime there is a construction project, it is good news. Do you have a construction project slated for your property this year? 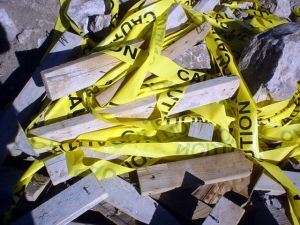 It doesn’t matter if you’re building a new home from the ground up or simply remodeling a bathroom, you’re going to need to set up your construction debris removal. In some cases, a contractor will be able to handle that as part of their job. However, you might be better off taking this task from their already long list of goals. Instead, turn your construction debris over to Junk King. This is right up their alley. Junk King has been removing all kind of debris from homes, apartments, school and businesses. They’ve quickly become Yorba Linda’s number one junk hauling service and you don’t get there by accident. The big plus with hiring Junk King is that you won’t have to do any work. The two-man Junk King crew assigned to your construction debris removal will load everything up onto their truck. You can schedule this removal for the end of the demolition day or at the end of your build week. If you have an unusually large job, you could even set up a daily Junk King construction debris removal appointment. The other big plus with hiring Junk King for this task is the price. Junk King will only charge you a flat fee based on volume. You won’t be charged by the pound as you would if you had to rent a dumpster. That fee will be presented to you before the work begins and it won’t charge when the work is done. Along with your construction debris, Junk King can also remove any other unwanted item from your home. Put that crew to work hauling out old furniture, boxes of rubbish and appliances. If you don’t want it, then get it gone! For thorough construction debris removal, Junk King is the company to work with. This entry was posted in Yorba Linda Construction Debris Removal and tagged Construction Debris Removal, Junk King, junk removal on January 30, 2015 by Junk King. Last updated July 31, 2017 .